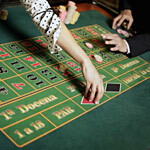 OK, this title is something of a misnomer – when you play roulette in a casino whether real or virtual, the odds are stacked in the house’s favour, but not by all that much. And there are a few ways you can improve your chances of winning. Firstly; always go for European roulette. 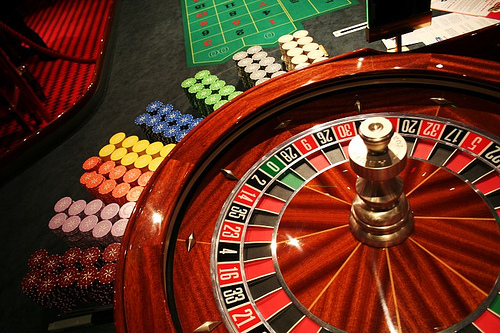 With a European roulette wheel, the casino’s edge is less than with American roulette as there are numbered slots 1-36 as well as a single zero. With American roulette, on the other hand, there’s the same layout but there’s also a double zero slot – so the house has a bigger edge. If you’re playing online, then some sites offer variants of both – so always go for the European versions if the pay-outs are identical. It goes without saying that you should select your site carefully. Go for a site with a solid reputation that also pays a generous welcome bonus. With 32Red online casino games, for example, the games are not only creative and fun to play – but you also receive a $32 bonus straight off the bat for each $20 deposited if you’re new to the site. 32 Red’s live casino is also well worth a try. Remember that the last spin is completely irrelevant. We all know this to be true logically, but still the seed of doubt creeps in to the back of your mind; it’s been red three in a row – it has to be black this time etc. This is all complete nonsense and, unless the wheel is flawed in some way which is impossible with a virtual casino, there is an equal chance of the ball landing in any one of the slots the next time around no matter what has happened in the past. Try to select value bets; remember that roulette offers one of the best chances of coming out ahead in a casino as the odds on odd/even, red/ black, high/low etc., are very close to even money. So you’d have to be tremendously unlucky not to come out ahead at least some of the time – by sticking to a basic strategy of simple bets. But it is absolutely vital to remember that there are no winning “systems” with this game and if you play long enough, the laws of probability dictate that you will steadily lose. So always bank at least some of your profit if you get lucky. 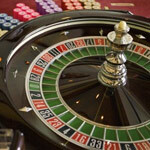 Once you start winning at roulette, it’s often difficult to decide when to stop playing. To make sure you keep hold of any profit you’ve been lucky enough to make - cash out half the money when you’ve doubled your initial deposit. You can then carry on playing without putting any of your initial stake at risk. But always remember to take full advantage of the bonuses – and good luck!